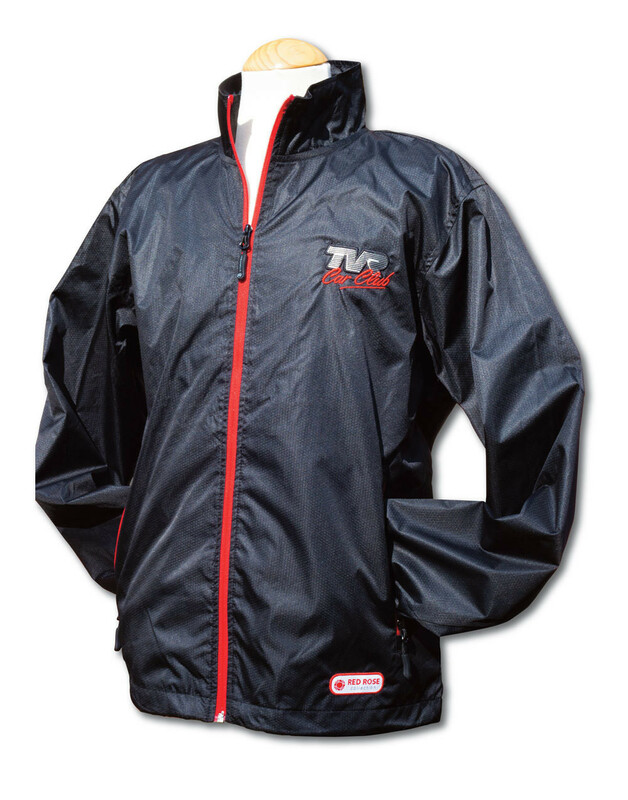 This ultra-light, ultra-soft, water repellent rip stop shell provides lasting water-resistant protection and is ideal for driving with the hood down and offers light protection from the wind on an early spring or late summer drive. Available with contrasting colour zippers and trim with a full mesh interior liner for maximum ventilation, and an adjustable draw-cord waist to ensure a comfortable fit while driving. Available with contrasting colour zippers and trim the garment is supplied with a choice of either a TVRCC logo OR a TVR Model badge on the front left breast plus the ‘Car Club’ script in a matching thread to the trim colour selected. There is also a discreet TVRCC logo on the back of the jacket below the collar with the Red Rose Collection logo on the bottom seam.